Retreat success. | there's no place like gnome. sleepy, exhausted, delirious, dog-tired, worn out, tuckered, and happily fulfilled. The topic of the retreat revolved around the two Lutheran sacraments – baptism and communion – along with some intentional conversation about grace. We communed together, baptized a gnome [ … for real. Kind of. His parents named him Norman James. 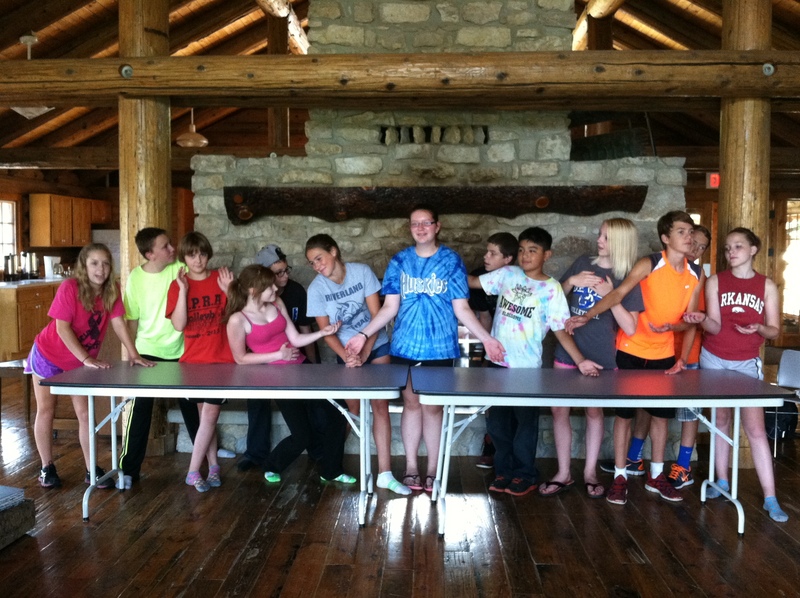 ], team-built, played life size Jenga, did skits [the creativity of the skits blew me away – the awesomeness of these kids continually exceeds my expectations], and had boatloads of fun. jD’s kids had fun. My kids had fun. We all had fun. Our churches will have to plan to do more things together throughout the year; it worked out so well. We shared highs and lows with each other before we left camp. Every single high from every single confirmation kid was along these lines: My high is making new friends and being here. At the same time, every single low from every single confirmation kid was along these lines: My low is that we can’t stay another night and we have to go home. I’ll call that retreat success. In addition to having fun, we also hope they left with a definition of grace seared in their brains. Something like … the unconditional love of God that is free, forever, and for all. That would be good. With what I’m about to say next, I want you to listen really super closely because I never say things like this. Ready? I love confirmation. [Okay. That was a joke. I actually say it all the flippin’ time.] I love my confirmation youth. I love middle schoolers. Weekends like this – kids like this – that’s why I love this job. Pastor Evan officiates a gnome baptism.